First, a quick history of hashtags. Twitter was the first social networking site that popularized the use of hashtags. In an effort to keep up, Instagram support hashtags too and they allows users to use a hashtag to participate in a conversation with other Instagram users who may or may not be following each other. How to use Hashtags in a right way? To tag a photo or video, first you need to take a photo/video and choose a filter. On the screen you see after choosing a filter, type your hashtag in the caption field (ex: #animal). After that, you’d be able to tap the hashtag to see a page that shows all photos and videos people have uploaded with that hashtag. Adding hashtags to your photos is a great way to find new followers, but they can be tricky. To get the most out of them, you’ll want to take a look at few things below on how to use hashtags the right way. Remember, tags are search terms that people look through to find pictures. Hence, choosing specific tags will help you connect with other like-minded people on Instagram. 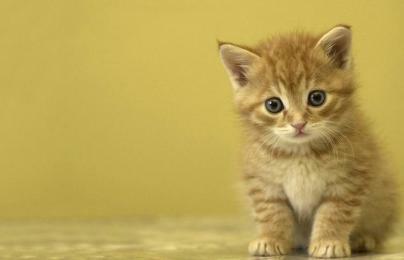 For this photo, instead of using the tag #cat, we could use #kitten. The photo will be added to that highly targeted tag page, where other kitten lovers will be able to find the photo more easily. 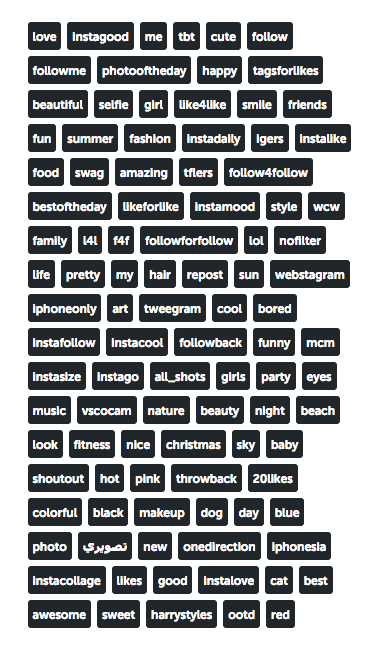 Make sure that the tags is relevant to your picture, as you are limited to 30 tags only. If you think it’s best to only use popular hashtags, it’s a total mistake. Yes, it is okay to use popular hashtags to increase your chances to showing up in popular searches. However, everyone else is doing the same thing and your post might be drowned quickly into the depths of the search results. Hence, mixing the popular and less popular tags will ensures you get the best of both worlds and your visibility is guaranteed to be higher. Your hashtags should be unique and memorable to you. There should be something that represent what you do and defines you. Never create long and hard to read hashtags like #todayblogpostisbouthowtousehashtags. To make it easier on your followers to read, you can incorporate the hashtags into sentence, like: Today’s #blogpost is about how to use #hashtags. With that specific and short tags, you may also find people sharing similar interest to yours that you hadn’t thought of originally. When you are on your phone, or even when you’re on your break time, we recommend you to create a note with your favorite/preferred hashtags. You can even create multiple lists of hashtags if you have multiple types of content you share on Instagram (re: food, fashion, nature, ootd, etc). By then, every time you do posting, simply copy and paste it into your Instagram post caption to save you having to type them in each time. Besides that, you not gonna need to be worried to leave any of the hashtags out! Next step, you are ready to upload them! Now your picture will show up when someone searches a term that has been tagged on it. Using hashtags not only make your content more searchable, but it is also gives fresh elements to your post. We hope this little tricks will help you get more reach out of your posts and drive more traffic, read more on hashtags usage here. Do you have any tips for tagging your photos? Re blog this and let us know in the comments! I read this article and found it very interesting, thought it might be something for you. The article is called How To Use Hashtags The Right Way and is located at http://www.digitalnoobs.com/blog/how-to-use-hashtags-the-right-way/.